Remember, Butchie, the Filipina Explorer? She's celebrating her 2nd year blog anniversary with a treat! She's asking about your most memorable exploration to date. Care to share? I could think of lots of stuff. For now and on top of my mind, this picture below tells it all. 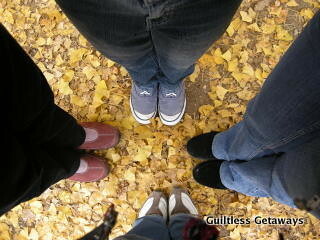 If you follow my travel blog Guiltless Getaways, this Korea autumn trip with friends inspired all the travel blogging. "To date", this picture was also worth an all-expense paid trip to Japan the last time I checked this February 2012. More travel posts to come out soon! Contest ends on March 8, 2012! Happy blog anniversary, dear Butchie! 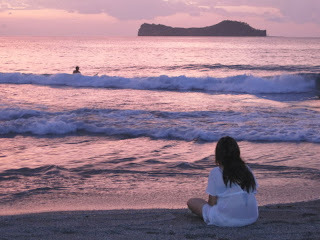 Click here to join the Filipina Explorer's Bloggersary contest. Hi Melody! I've tried to send you a personal email through thru your gmail email but to no avail. I'd like to say how much I appreciate you helping me spread the word :) Thanks a bunch! More to you and your blogs! More power to your blog and keep exploring!